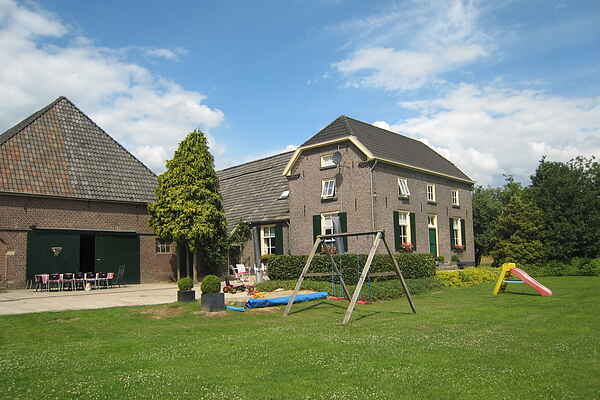 This farm is located in the Achterhoek in Geldern in the village of Braamt. The residence is comfortably and nicely furnished and is a perfect location for a stay with family or friends. There is a large playground for children and there is play equipment and carts. From the residence you have a beautiful and expansive view over the pastures. Montferland is notable for its varied landscape. A wooded, hilly area with heaths which is worth a visit in any season. This environment also has a great deal to offer with regard to culture and history. Visit the medieval town of ‘s-Heerenberg with its old streets and one of the largest castles in our country, Kasteel Huis Bergh. A visit to the pleasure park “Jan Klaassen Land” is recommended for children.